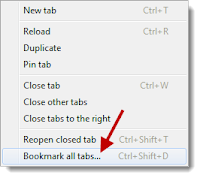 Right-click on a tab and select "Bookmark all tabs" or hit Ctrl+Shift+D. Just like in Chrome, right-click on a tab and select "Bookmark All Tabs" or hit Ctrl+Shift+D. Click on the "View favorites" icon, then the "Add favorites" drop-down menu. Select "Add current tabs to favorites." 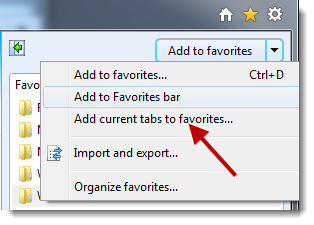 You can save a few steps by hitting Alt+Z, then clicking on "Add current tabs to favorites." 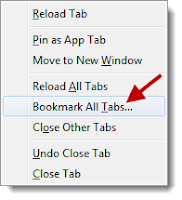 This is how to bookmark all your open tabs with just a couple of mouse clicks or with keyboard shortcuts. written article. I'll be sure to bookmark it and return to read more of your useful information. Thanks for the post. I'll certainly return.